Castor Oil comes from the beans contained in the spiny capsules of the castor-oil plant, a large shrub of tropical Africa and Asia. It is an unusual ‘Marvel Oil’ because it doesn’t smell nice, it doesn’t feel nice and it certainly doesn’t taste nice. On top of this, the botanical name for the plant is ‘Ricinus communis’ which is Latin for ‘common tick’ because the castor seed, which looks more like a bean, resembles a tick. Besides oil, the seeds contain a potent toxin called ricin, poisonous if inhaled or ingested, for which there is no antidote. 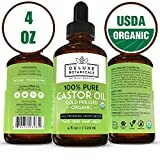 Despite all the negatives, Castor Oil is indeed marvellous and knowledge of its effectiveness goes back thousands of years to biblical times. It was used in ancient China, Egypt, Persia, Africa, Greece and Rome, making its way to Europe and America in 17th Century. Cleopatra is reputed to have used Castor oil for her hair and face. Perhaps the most famous advocate of Castor Oil is Edgar Cayce, who was born in 1877. He popularized the use of castor oil packs in the 1940’s and ‘50’s for conditions such as inflammation of the gallbladder, constipation, epilepsy, cirrhosis, scleroderma, headaches, appendicitis, arthritis, colitis, intestinal disorders, neuritis, toxaemia and many others. The results were often spectacular. Castor oil is a triglyceride of fatty acids, most of which (90%) is the unusual ricinoleic acid. 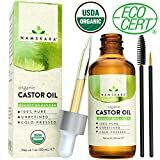 The best kind to use is cold-pressed, hexane-free Castor Oil. Castor Oil is an immune and lymphatic stimulant and has remarkable analgesic and anti-inflammatory effects when used topically. It is also antibacterial, antifungal and antiviral. When it is absorbed through the skin, either by way of massage or oil packs, it stimulates the lymphatic system by increasing lymphocytes. This intensifies the removal of toxins from tissues and speeds up healing. Castor oil and ricinoleic acid also enhance the absorption of other agents across your skin. Used internally Castor Oil is a very powerful purgative, not without unpleasant side effects like nausea and digestive discomfort. Used externally in the form of Castor Oil packs, it is harmless and can be astonishingly effective for any kind of pain, like back ache, sciatica and bursitis, and for any liver, gall bladder or abdominal problems. 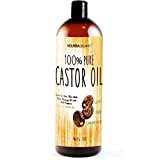 Castor Oil can be applied topically to infections, open sores, ulcers and wounds, even deep ones and they will heal with little to no scarring. Also for keratosis, dermatitis, acne, ringworm, sebaceous cysts, itching, hair loss and dandruff. It can be used as a cleanser, especially for oily skin and as a moisturiser to reduce wrinkles. You can drop Castor Oil into ears for hearing problems and brush your teeth with it as a remedy for gum disease. Socks soaked in Castor Oil and worn all day or at night will sort out aching feet and plantar fasciitis. A few drops of Castor Oil rubbed into the belly and abdomen every day during pregnancy helps to cure and prevent miscarriage and other difficulties. Mix together equal quantities of the oils and pour into a clean bottle. Moisten a cotton pad with a little of the oil blend and gently wipe your eyelids and eyelashes. Gently melt the butters in a double boiler then remove from the heat. Add the essential oils and whisk the mixture until it loses its transparency. Pop it in the freezer for a few minutes and then whisk again. Repeat if necessary to get a cream with a firm consistency. Decant into clean glass pots. Use anywhere for antioxidant protection and improved skin. Mix a 50:50 blend of Ravensara with either Tamanu or Castor Oil and apply daily for relief from shingles pain.